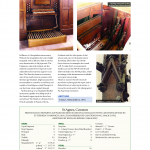 The Choir and Organ Magazine published an extensive article about the recent organ renovations. 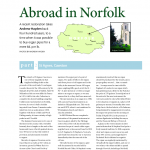 Â Â Copies of the article are available to download from this site. Click on the images to view/download a PDF version of each page. 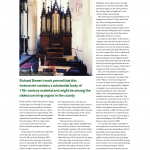 The article first appeared in the September/October 2009 issue of Choir and Organ Magazine.Â Â© Rhinegold Publishing Ltd 2009, all rights reserved. Used by permission. Note: If you have a slow internet connection the downloads could take a few minutes.